Mechwarrior Online has rung up more than $5 million through its pre-release Founders Program. With nearly $4 million in pledges, Obsidian's Project Eternity recently became the most successful videogame on Kickstarter. That's awfully impressive, but it's still well short of the mark set by the upcoming Mechwarrior Online, which broke the $5 million mark without the help of the world's most famous crowdfunding site. 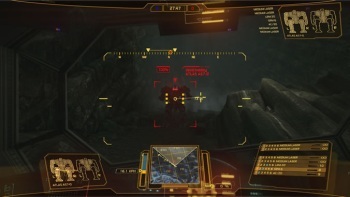 Instead, it opted to fly solo with the Founders Program, which let fans pre-purchase the game at one of three separate levels, each with its own set of rewards in the form of in-game currency and mechs. To be fair, the Mechwarrior Online Founders program has been running since July while the Project Eternity Kickstarter didn't launch until mid-September. On the other side of the coin, Kickstarter has been a tremendously popular force with gamers since Tim Schafer did his thing with the Double Fine Adventure, while the new Mechwarrior has a dedicated but still fairly niche audience. Either way, Piranha Games President Russ Bullock described the Founders Program as a "categorical success" for both the sales and the player feedback its brought it. "The Founders are helping us fund, develop and support the game in order to deliver the best online gaming experience," added Infinite Game Publishing President Kelly Zmak. "The tremendous success of the MechWarrior Online Founder's Program demonstrates how passionate the fans are for the MechWarrior franchise." And Mechwarrior Online isn't the only big game to take a pass on Kickstarter. Chris Roberts' recently-announced Star Citizen is also taking the solo crowdfunding route and has raised over $900,000 so far, although the studio is now apparently thinking about taking its business to Kickstarter as well. Sadly, it's too late to get in on the action now, as the Mechwarrior Online Founders Program closed on October 16, the same day the open beta was scheduled to start. The beta was delayed and does not currently have a start date, but is expected to begin fairly soon.